Getting in shape is something that I've been aspiring to do after gaining a ton of weight on my Caribbean cruise. However, I just can't resist snacking and munching on everything that I see thus adding on the calories. So how do you work out and stick to your diet? 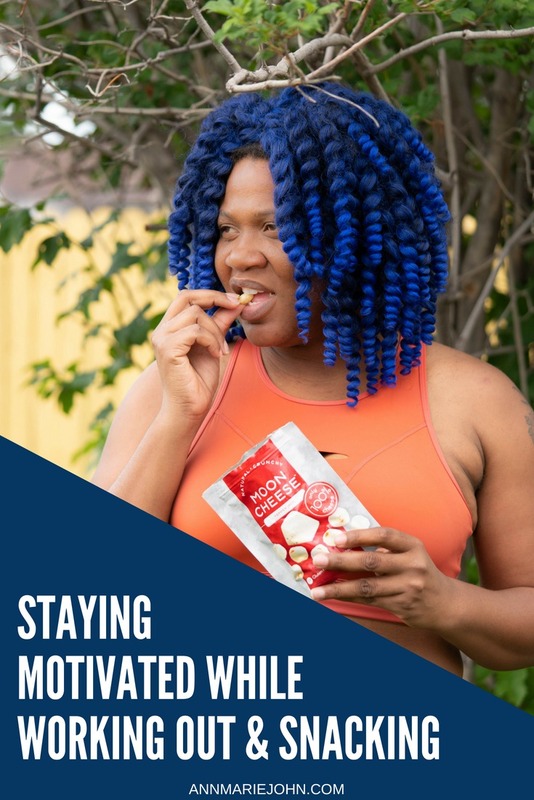 Together with Moon Cheese™, I'm sharing how I get it done. This post is sponsored by Moon Cheese™, in collaboration with Blog Meets Brand, but the content and opinions expressed here are my own. I'm a pile of blubbering fat, I know this, and it's what has motivated me to get better about my health. Since gaining the weight, my energy has declined tremendously. There's no other way to put it: I need to get in shape. However, when it's hot outdoors, and all you can think about is just laying around in an air-conditioned home, the motivation just doesn't come easily. So how can you get active without putting in too much work? And how do you snack without overeating? Here are five easy ways! There is no better motivator than working out with a buddy. You don't even have to make it to the gym. There are hundreds of free YouTube workout videos that you can do in the comfort of your home. If you don't have a friend nearby, get the kids involved. See how many jumping jacks you can do in 5 minutes and make it a competition. Now if your workout is boring and no fun at all, you wouldn't want to do it, now would you? Try and make it fun. Get some music on board, and do workouts that you enjoy. Did you know that dancing is a form of working out? Find a sport that you enjoy and just do it! Setting a goal to work towards will help keep you motivated. Remember to start small and simple, and work towards a long-term plan, with an incentive to do it quicker. Maybe you want to lose 10lbs in 6 months, but would be thrilled if you can do it in 3-4. And remember with all exercises, if you're just beginning your workout, to also start off small. Instead of going to the gym 5 days a week for 2 hours, how about 3 times a week for an hour? It didn't happen if you didn't take a photo right? Keep an exercise journal and write down all that you've done. Tracking your progress helps you to see how much you have done. You might even surprise yourself at how much fat you've lost, how much muscle you've gained when comparing before and after photos. 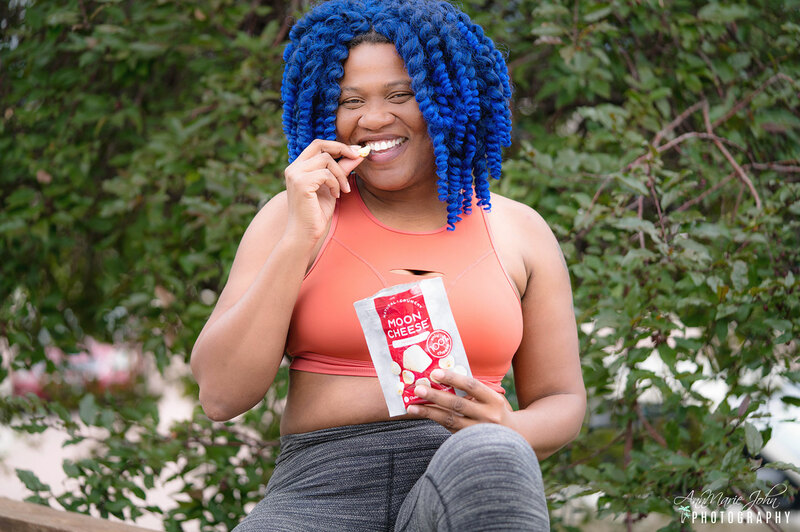 While you're working out, you may be tempted to snack heavily when a craving comes on. It has happened to me, so I'm speaking from experience. One way that I help with my cravings is by eating Moon Cheese. Yes, they're 100% cheese! It's the only ingredient and not only are these delicious, but they are also high in protein, low-carb, all-natural, gluten-free and an excellent source of calcium. Because they require no refrigeration, they're the perfect go-to snack to take along with you. And at only 70 calories per serving, I never feel as though I'm cheating on my diet. However, let me tell you a bit more about Moon Cheese and how I fell in love. I first saw these at my local Whole Foods one day while grocery shopping and Madison wanted to grab a pack. I picked it up for her, and we've been hooked since then. They come in three delicious varieties: Cheddar, Gouda, and Pepper Jack (my favorite). For those on the Keto Diet, have no fear. 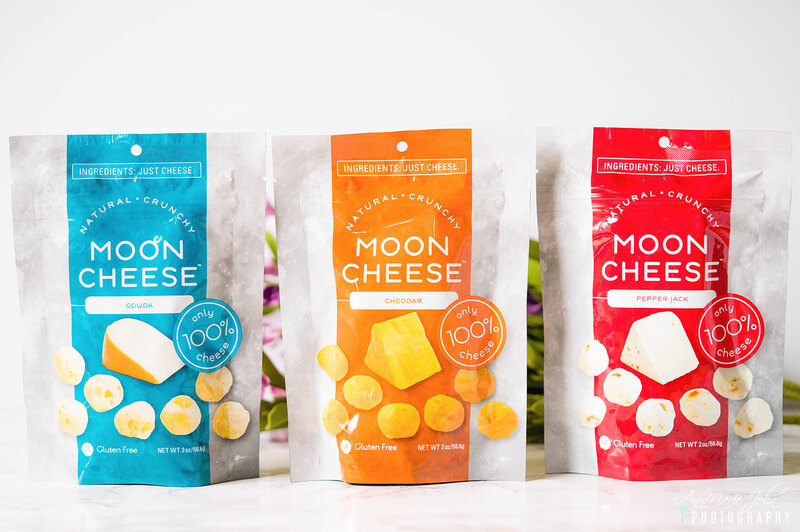 Moon Cheese is ketogenic and low-carb diet friendly! So get your workout on and don't forget to keep a pack or two of Moon Cheese around. 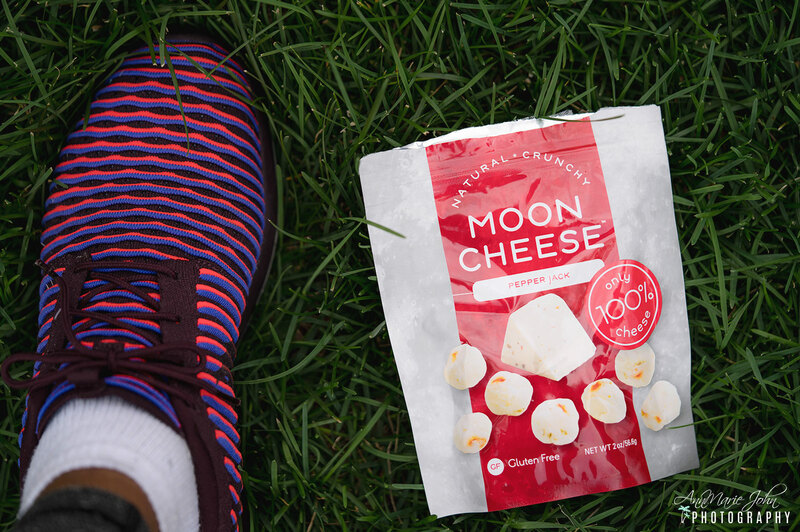 You can pick up Moon Cheese at select Target, Whole Foods, CVS, Starbucks, Wegman’s, Weis and REI stores.